Our beach equipments represent the most widely used beach cleaning machines in the US domestic market and the international beach cleaning machines market Pioneers in cleaning of beach sand, we have manufactured beach cleaning equipments for more than 35 years. Used in over 40 countries and 5 continents, these special beach equipments are world leader. Effective in removing beach pollution such as seaweed, fish, glass, syringes, plastic, gans, cigarettes, shells, wood and other unwanted debris. 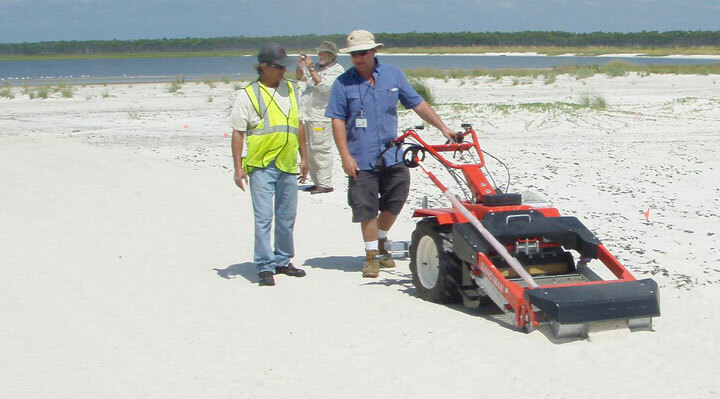 These machines are able to remove from beach sand oil and tar balls after oil spill disasters. That’s why today to keep a beach clean is easy. Thanks to our special products, characterized by high quality and technology, beach pollution will be just a dream.